In the 1990s, many teens in Turkey read the best-sellers on adolescent life. Authors like Gülten Dayıoğlu and İpek Ongun used to be in the top 10 at bookstores. The teens of the 2000s, however, publish their own tales. Two girls, Büşra Küçük and Büşra Yılmaz, attracted dozens of readers at the TÜYAP Book Fair this month. Yılmaz's book "4N1K" has had about 24 million reads, while Küçük's book "Kötü Çocuk" (Bad Boy) brought her 208,000 followers. Enjoying so much popularity might sound weird as they are not professional authors, but there is a little secret behind their success: "Wattpad." For Wattpad dummies, the Wattpad is a free application that allows users to discover and share stories about the things they love. Designed by Allen Lau and Ivan Yuenin in 2006, the app has around 40 million users and offers over 100 million stories in more than 50 languages, available in both web and mobile versions. The stories on Wattpad are serialized and users can participate in the storytelling process through comments or messages. 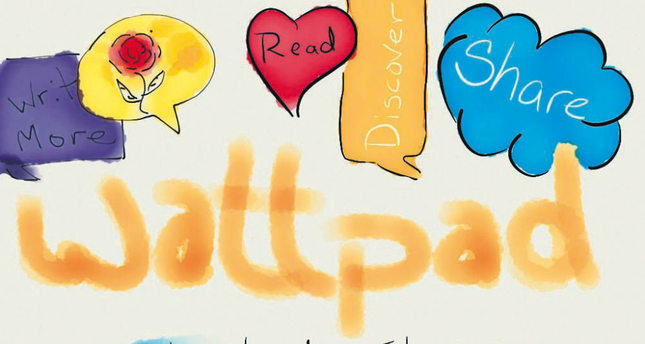 Started as a mobile reading app, Wattpad slowly became an addiction after initially little popularity. Currently, an average of 10,000 users, mostly female readers aged under 30, login each day. According to Webrazzi, users can find around 7 million stories in Turkish. The next interesting finding is that Turkey is the third most popular market for Wattpad, after the U.S. and the Philippines. Having quickly become a go-to entertainment place, many young Turks share romance, thriller, sci-fi and action stories. Each user spends around 30 minutes during a single session, said Allen Lau in a statement to Webrazzi. Wattpad's power also catapults publishing houses in Turkey as some of them, notably those focusing on best-sellers, find the most popular Wattpad authors and compile their stories in a book. A video of Wattpad Turkey on YouTube showing young readers queuing at book fair stands in a pursuit to meet their favorite authors demonstrates the extent of the platform's fame. Among the 20 Wattpad authors participating at the fair, Büşra Küçük, 21, is presumably the most famous Turkish author on the platform. Three years ago, she began to upload her book series "Kötü Çocuk," which has been read 78 million times. Telling the story of a high school boy named Meriç, her book has become a social media phenomenon and was published by Ephesus Publishing House. The first edition of the book had about 200,000 copies and its second edition is already on shelves at bookstores. Wattpad allows users to design their own book covers, too. After Küçük chose Vini Uehara, a young Brazilian blogger, for her cover, Uehara became as popular as her. Earlier this month, more than 1,400 girls gathered at Maslak Volkswagen Arena to meet Uehara. A very long queue accompanied by the loud cheers of girls who came from different cities created an atmosphere similar to Justin Bieber's arrival to Turkey. Büşra Yılmaz, also 21, is the next popular Wattpad author addressing the problems of high school students, from love affairs to friendship issues, in her books. Her debut book 4N1K brings a friendship story between four young boys, Oğuz, Gökhan, Ali and Sinan and a girl named Yaprak. Her book, published by Epsilon Publishing sold over 100,000 copies. Her new book "Ölüme Fısıldayan Adam" (The Man Whispering to Death) is also expected to be released by the same publishing house. Yılmaz has nearly 20,000 followers on Twitter. Buket Özdal, a 17-year-old author, has reached 6 million readers with her book "Bir Kavanoz Aşk" (A Jar of Love) on Wattpad. The stories of Beyza Özaydın, 16, have had a total of 65 million reads. Introductory videos to the books are available for readers on YouTube. 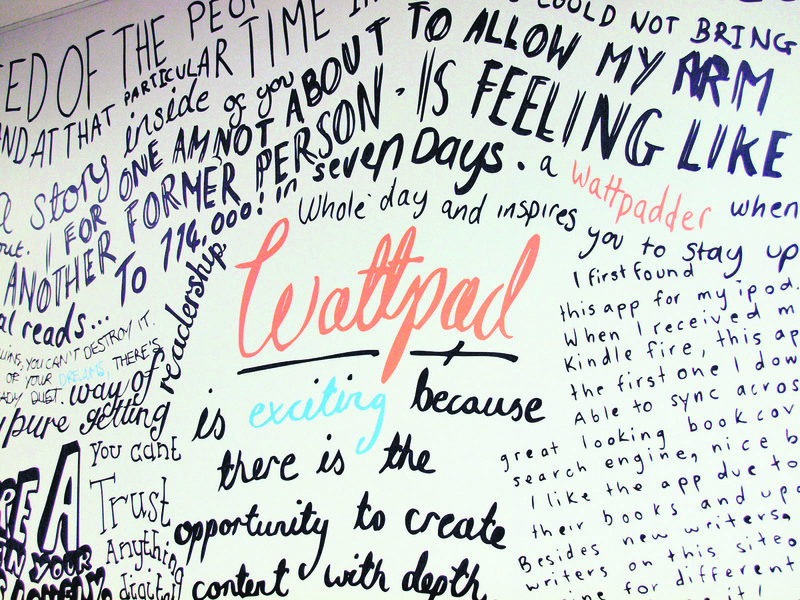 Wattpad is a new trend for the publishing sector. In a statement to the Turkish daily Yeni Şafak, Özlem Esmergül, the general coordinator of Genç Destek Publishing said, "While writing and dreaming, these young people do not have rules or limits. What I like about them is that their writing looks natural, though it does not have much literary value." Around 90 percent of Wattpad users access the platform via mobile. So far, the platform has attracted over $65 million in investment. Wattpad's income generation model was at first based on a crowd-funding system. However, that turned out to be an inefficient model and direct advertising is now the main income source. Apparently, Wattpad authors will continue to dominate book fairs in Turkey. It is open to question whether this trend will change the course of the publishing sector, but instead of keeping diaries or drafting texts on paper, the platform gives youth a chance to make themselves freely heard.